Email marketing expert Lawrence Harte has setup and managed thousands of email marketing campaigns for online stores, magazines, newsletters, and book publishers. Created and optimized rich media email content.in HTML, text, and multipart formats. 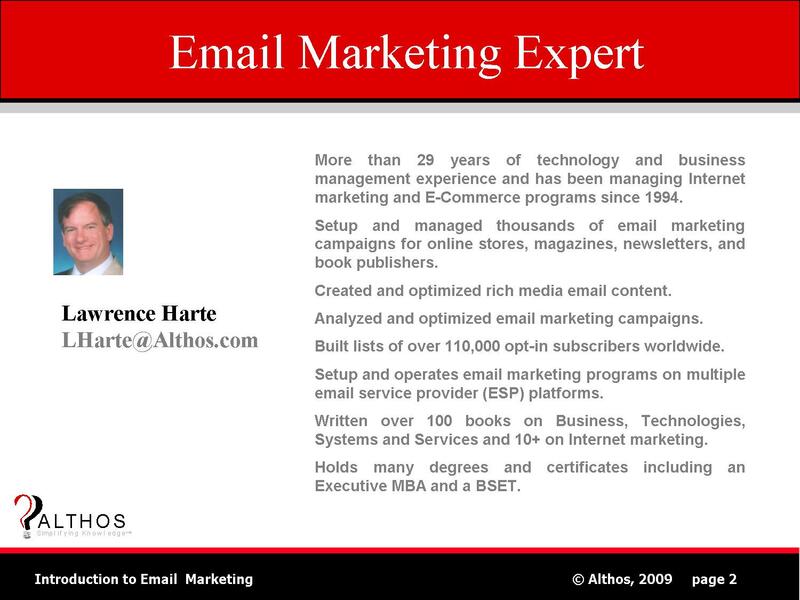 Mr. Harte continuously analyzes and optimizes email marketing campaigns. - Many types of campaigns including promotinal, welcome, drip, re-engagement. He has setup and operated email marketing programs on multiple email service provider (ESP) platforms including constant contact, Topica, Vertical Response, and others..He understands that different types of ESPs have different types of capabilities and requirements. Mr. Harte has built lists of over 110,000 opt-in subscribers worldwide for a mix of products and services.